We love admiring all of the beautiful blossoming trees and flowers this time of year, but they can be a real strain on the millions of people who suffer from allergies. Sneezing every two minutes can get pretty annoying, and even waterproof mascara doesn’t seem to prevent our eyes from looking like we’ve been crying for hours. Unfortunately, there’s not much we can do about the side effects of nature coming to life (unless you want to go around and hack down every tree and flower, you anti-environmentalist, you!) However, there are some easy things you can do to at least alleviate some of the sniffles while within the confines of your own dwelling. Our list of 10 ways to allergy proof your home will help you feel better in no time! This one may seem obvious, but cleaning includes dusting, which sometimes gets put to the side until the dust is really noticeable. Whether it’s totally visible or not, dust piles up a lot quicker than you think. Use a damp rag to wipe surfaces rather than simply dry dusting, which tends to mostly move dust around without effectively removing it. Including dusting in your regular cleaning schedule will really help eliminate allergy symptoms. Of course, if dusting alone stirs up your allergies, you may want to get someone else on this job (ahem, hubby, we’re talking to you!). If that’s not possible, using gloves and even wearing a face mask should do the trick. While hardwood, linoleum, or tile flooring and washable area rugs are your best bets to avoid trapped dust, if you have carpet and can’t imagine parting with it, you’ll want to check the type of vacuum you have. What you’re looking for is a vacuum cleaner with a HEPA (high-efficiency particulate) filter as well as a bag that can be easily changed because let’s face it, half the battle is replacing the darn thing and having dust fly everywhere, creating twice the mess. In addition, be sure to vacuum your carpets weekly and have them deep cleaned periodically. It may even be worth it to invest in your own steam cleaner if you have thicker carpet and will need to keep up on it more regularly; otherwise, there are companies that will rent them out or come do it for you. Thick drapes collect dust just as well as carpet does. Lightweight, washable curtains or blinds that can be easily wiped down are much better choices. Consider roller shades or vertical blinds, but avoid venetian blinds, mini-blinds, and pleated shades as they are more likely to accumulate dust and harder to clean. There are plenty of stylish options out there so don’t hesitate to switch things up a bit! For those unlucky enough for a sneezing fit to be provoked by a single spray of traditional household cleaner, there are many great natural alternatives free of the harsh chemicals that cause irritation. Some typical ingredients in particular to look out for and steer clear from include ammonia, sulfates, aerosol sprays and fragrances, sodium hypochlorite (bleach), phosphates, and chlorine. If you’re feeling thrifty, you can even mix your own solutions or use simple items you already have right in your kitchen. For example, baking soda can be used as a natural deodorizer as well as to clean chrome or stainless-steel surfaces; lemons combined with salt can clean copper and half a cup of lemon juice can replace toilet bowl cleaner; and a vinegar-water solution in a spray bottle can clean windows and mirrors (adding just a dab of liquid dish soap will help avoid streaks). There are a number of ways to prevent mold, a primary allergy-trigger, from taking over. Ensuring the basement is dry and checking the roof and ceilings for water leaks are definite steps to take. A dehumidifier in areas where dampness can easily occur, especially the basement, will help to keep the house as dry as possible. Mold grows in soil so limit the number of indoor plants kept indoors and definitely keep them out of bedrooms. 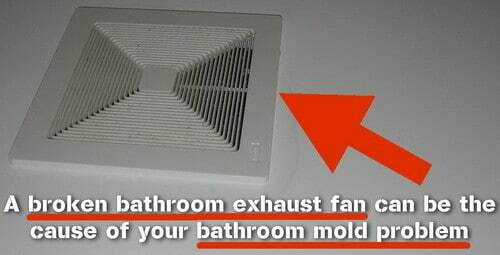 In the bathroom, utilize the ventilation fan to remove moisture and stop mold growth (if you don’t have one, get one). Also, wash shower curtains and clean often, taking care to reach the small, forgettable spaces. Our furry friends are loved dearly, but if your allergies seem to spike up whenever a cute kitty or dog is near, you may not want to keep one as a pet. If you just can’t deny the adorableness though, there is some maintenance involved in order to dodge a full-on fur takeover. Bathing your pet regularly is important, and setting boundaries for where he or she can wander will help reduce the amount of fur spread throughout the house – and trust us, they shed a lot. If your cuddly creature is quite hairy, a nice hair cut may be in order! 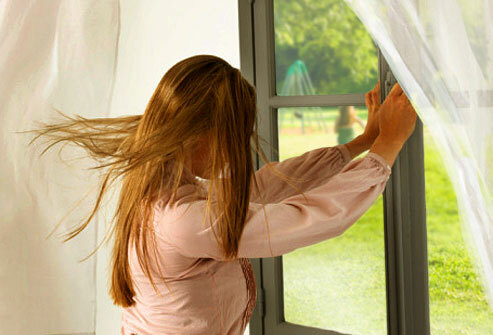 As nice as it is to breathe in some fresh air and feel a comforting breeze waft through the house, letting the outdoors in may invite allergens like pollen and mold into your personal space. Turn on the air conditioner during the times when your outdoor allergies are the worst (known as seasonal allergies). Fans are not the best idea either as they quickly stir up dust. The thought of cockroaches and small rodents like mice creeping around the house gives us the heebie-jeebies, not to mention their droppings instigate allergies. If you’d like to avoid this problem, we have a few suggestions. First, remember that they thrive on “what’s left behind,” and they need water just like we do. A garbage can with a sealed lid will help keep them out as well as control odors, and of course taking the trash out regularly is always a good plan. 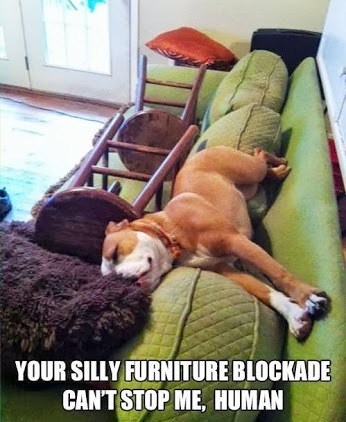 Additionally, the following actions should be taken: wipe down the kitchen and do the dishes as soon as possible after meals to reduce crumbs and avoid water sitting in the sink; store open food in airtight containers; and barricade or seal gaps and cracks that could serve as entryways. If you are cursed with allergies then you may already realize that wood-burning fireplaces or smoke from bonfires flares up respiratory allergies. If you have a wood-burning fireplace or stove in the house, unfortunately we have to recommend avoiding its use – allow it to be a lovely focal point instead with a safe fireplace insert. Bear in mind that certain furnishings like upholstered sofas and chairs will be much harder to clean and hang on to dirt and allergens that much longer. Wood, plastic, vinyl, or leather furniture will be much easier to maintain by just wiping it down.